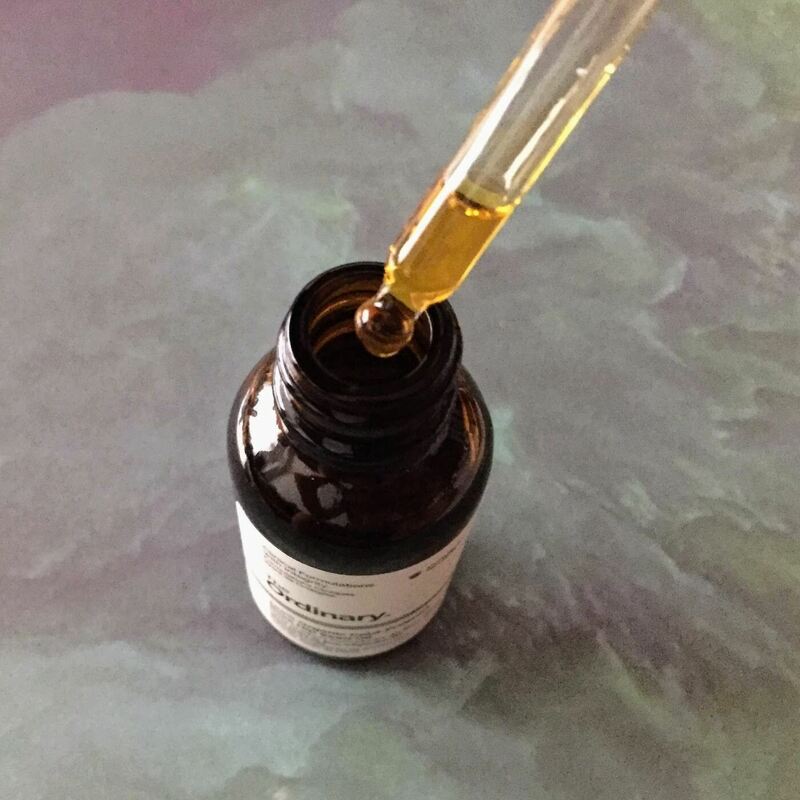 If you have acne-prone skin, try mixing a few drops of this oil into your nighttime moisturizer—you won't regret it. Does anyone else think that “rose hips” are weird? If roses have hips, do they also have their own version of the Shakira song, because their hips don’t lie? All jokes aside, I had no idea that rose hips were actually used for so many things before I first heard about them on /r/SkincareAddiction. People raved about rose hip seed oil’s benefits for acne-prone skin, so I decided to give The Ordinary Rose Hip Seed Oil a try. It has quickly become one of my favorite go-to products for moisturizing my face this winter. But first things first: What are rose hips? If you’re a rose hip newbie like me, rose hips actually refer to the round part of the rose right under the petals, and are also where the seeds are located. Rose hips are even used as medicine and available in the form of supplements and teas. Rose hip seed oil also contains linoleic acid (omega-6), which has been shown to help reduce the size of closed comedones in this study. Linoleic acid may also help lighten hyperpigmentation associated with UV-related damage. Rose hips also contain tretinoin, which has been shown to help provide anti-inflammatory benefits, particularly for acne-prone skin. All of these benefits make rose hip seed oil particularly a popular face oil for those who have acne. Some part of me will never completely believe that applying 100% oil to my face won’t break me out or make my skin even more oily than it already is. I’m happy to report that I’ve been using The Ordinary Rose Hip Seed Oil for a few months now, and it has not committed either of those offenses. In fact, it has been pretty great for my oily/combo, acne-prone, sensitive skin. I really liked this oil the first time I used it. I started off by adding three drops to my face after applying my moisturizer (CeraVe Facial Moisturizing Lotion PM) in the evenings only, which was fine. But when I decided to start mixing it into my CeraVe PM, that’s when I felt like it was really hitting its full potential. I was able to spread it more evenly across my face, and it also seemed to sink more easily into my skin. I haven’t noticed dramatic improvements in my hyperpigmentation (though it did help fade some post-pimple redness more quickly than usual). Most of all, I like how it moisturizes my face without irritating it or making it feel overly oily (even though it is an oil). In the winter, it’s a bit too try to simply use CeraVe PM—I need something a little richer to soothe and nourish my tight, flaky skin. It’s worth noting that this oil has a very distinctive smell—not because it contains added fragrance, but because the oil naturally smells. It doesn’t smell like roses, though—it reminds me of the smell of flax oil. It’s possible that you won’t like the smell if you normally prefer more traditional scents like florals or citrusy notes in your facial skincare products. I happen to like it because it feels natural and unobtrusive…almost like a wholesome supplement for my skin. 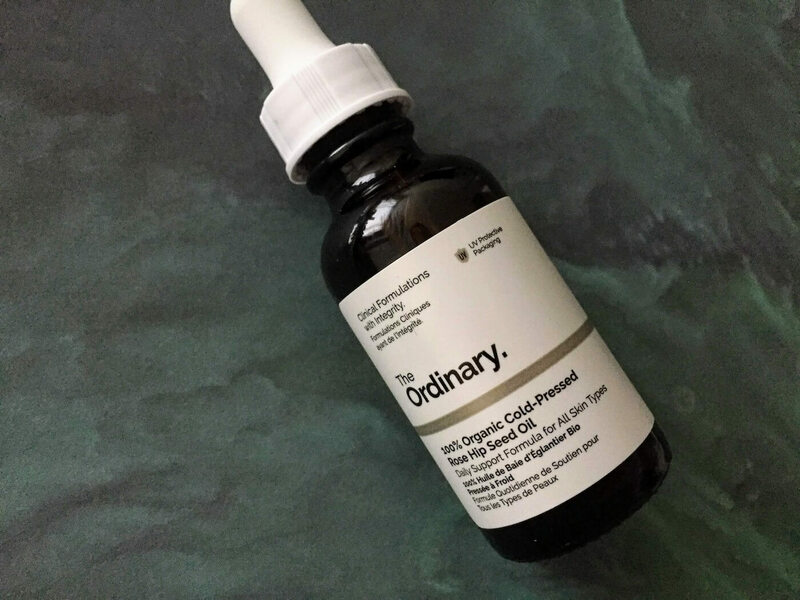 I highly recommend The Ordinary Rose Hip Seed Oil for anyone who has acne-prone skin and needs an additional boost of moisture. It’s easy to mix into your nighttime moisturizer, and definitely has earned a spot in the TSA-compatible quart-size bag of cosmetics I’ll bring with me on my next flight. CeraVe Facial Moisturizing Lotion PM Update: What changed in the new formula? AmLactin Rapid Relief vs. CeraVe SA Cream: Which is better for dry, flaky skin?